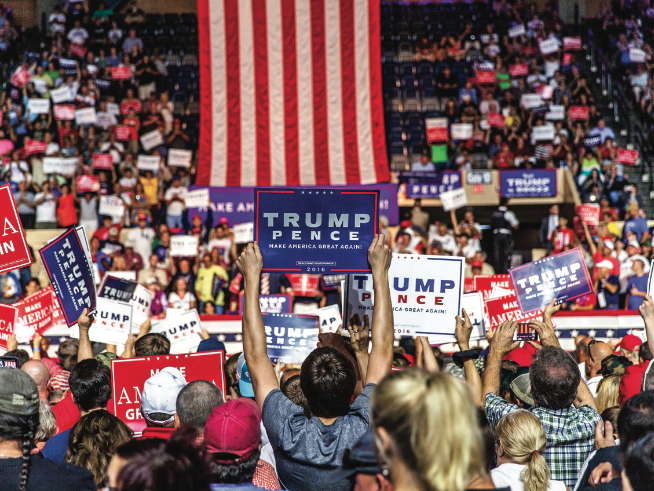 Donald Trump rallied thousands of supporters in Roanoke for the second time in two months Saturday, Sept. 24, just 44 days before the election. 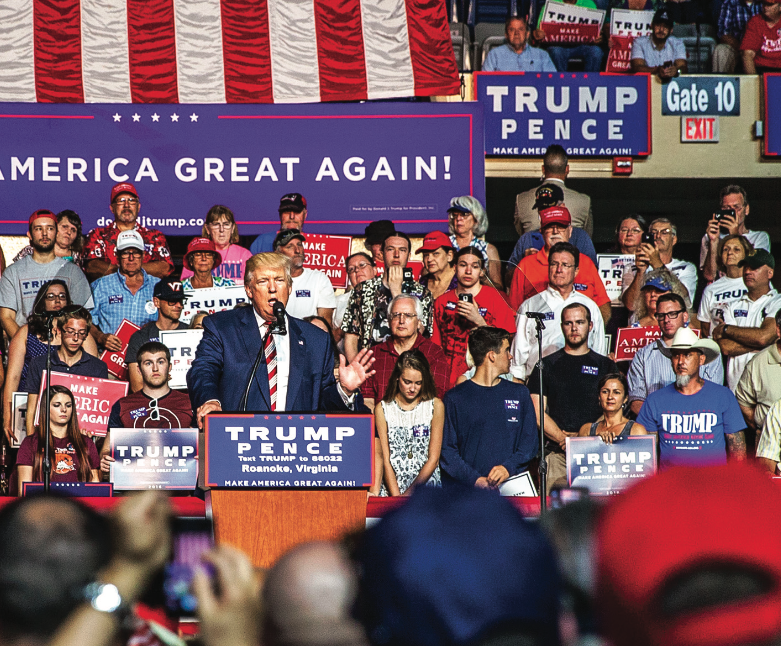 Trump covered almost every one of his major campaign policies, speaking on everything from economics and healthcare to education and illegal immigration. “We’re going to take on the rigged system that has shipped America’s wealth to other countries, and they keep doing so,” Trump said. Trump took the opportunity in Roanoke to address his energy policy, specifically how his presidency would impact miners. Back in March at a CNN town hall, Hillary Clinton said she would put coal miners and coal companies out of business. She followed her comment by stating that she wanted to move those jobs to other types of energy, but Trump took advantage Saturday of her lack of clarity. “Here in Virginia, we are going to end the war on American energy and on our miners,” Trump said. While Trump rarely focused on one subject for more than a few minutes, he did fixate on education and extending school choice to all disadvantaged children in America. He proposed lowering college tuition costs by working with Congress to ensure special federal benefits are not available to universities unless they reduce tuition and student debt. He also extended outreach to the African-American community, congratulating them on the opening of the new National Museum of African American History and Culture. Just as he has done in the past, Trump appealed to black voters by asking them, and also Hispanics, “What do you have to lose?” He said Democrats have produced joblessness, poverty, failing schools and rising crime. Trump contrasted their failing policies with his ability to see potential in inner cities. He also did not mention the debate against Clinton happening two days after the rally. Trump, who was introduced by speakers such as Rep. Bob Goodlatte of Virginia’s sixth district and retired U.S. Army Lt. Gen. Michael Flynn, said his supporters must get out and vote and encourage others to do the same. “The arrogance of Washington, D.C. will soon come face-to-face with the righteous verdict of the American worker and voter,” Trump said. John Wood, a Liberty University junior who is the second vice chairman of the College Republicans, attended the rally with other members of the club who earned VIP tickets by participating in a door-knocking campaign for Trump. “(Trump) is going into areas where people have felt forgotten,” Wood said.